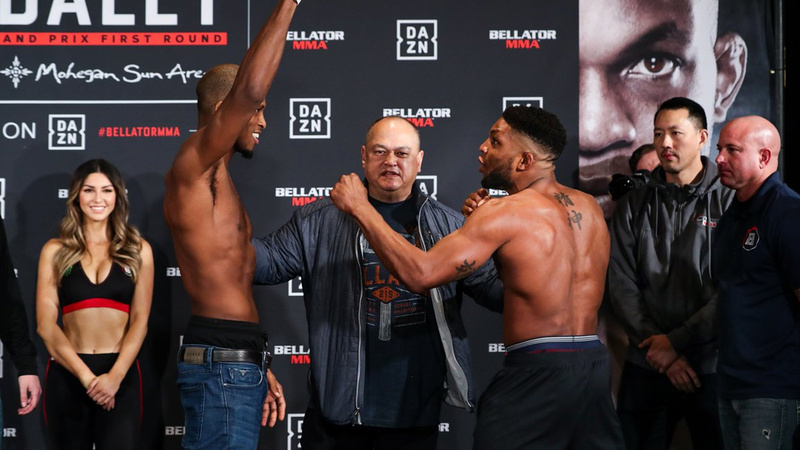 Bellator 216 “MVP vs. Semtex” is less than 24 hours away, and the promotion held the weigh-ins earlier today where all the fighters went on a scale for Saturday night’s (Feb. 16, 2019) fight which goes down from inside Mohegan Sun Arena in Uncasville, Connecticut. British MMA MMA stars Michael Page, and Paul Daley both make weight came at 170 lbs. Meanwhile, Mirko Cro Cop tips the scale at 234.5 pounds for his rematch with Roy Nelson, who weighed 259.5 lbs.